To be clear, I'm thinking of leaving it in primary for 3 weeks and then bottle conditioning for 2 more. I'm open to suggestions if someone has a different view. From what I've gleaned on the message boards, that seems more popular than racking to secondary since I'm not doing any dry hopping. Today was bottling day after almost 4 weeks in the fermenter. I bought a new hydrometer and the final gravity was 1.012 for 5.895% ABV which seems about right. I tasted a sample and it was pretty spot on for flavor compared to Buffalo Sweat in the can. Gonna be two long weeks before I get to try it! If you made 40+ beers then do not hesitate to start drinking them a few days after bottling. While a general rule is to wait until fully carbonated and aged, I find drinking some beers young allows me to fully appreciate the ingredients as they age. This allows me to design a better recipe next time because not every beer gets better with 2 weeks rest after bottling. 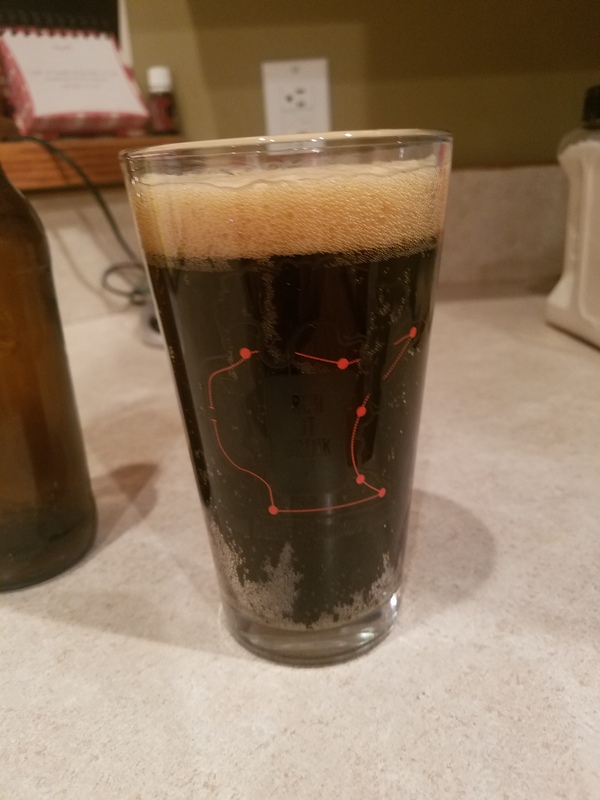 I cracked open a beer after one week to test. 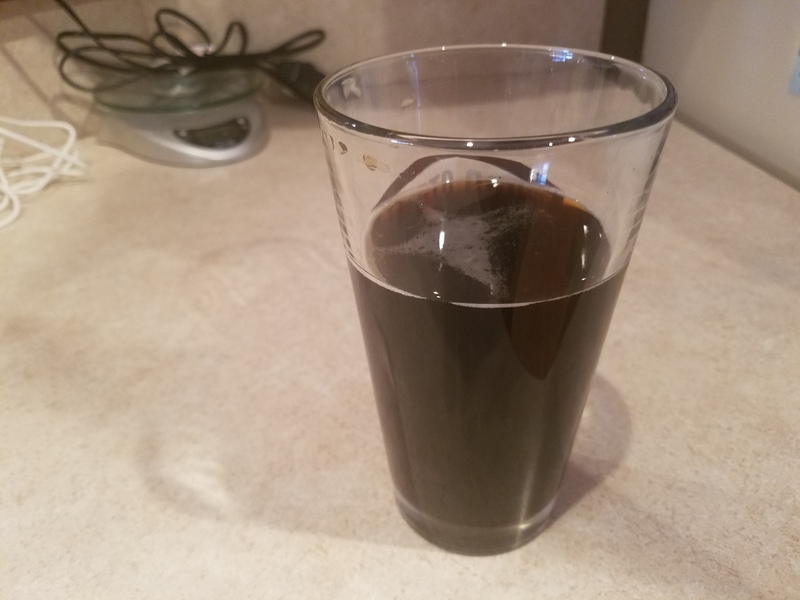 The color is perfect, almost no carbonation, and a the taste is not very smooth yet. Drinkable but certainly not ready to serve to company. I'm guessing it'll smooth out over time and I assume this is all normal. Please chime in if you have any thoughts. Now to plan my next brew session. It will be better in another 10 days or so, and in 2-3 months it will be even better. @JerryP , where are you storing your bottles? Try to be sure and keep them a bit above cellar temps to help promote carbonation, shoot for upper 60's - low 70's. When I bottled, I kept them in my dining room in a tupperware container right by the thermostat, warmest place in my house. They'll carb better above 65. I'm keeping the bottles in my main floor laundry room in cases next to a furnace vent. We keep our house at 67 degrees so I think the temp should be ok. I expected winter to be a bit more challenging for bottle conditioning. Thanks for your response. Week 2 in the bottle. Definitely more carbonated and much smoother than the one I tried last week. We're having a homebrew battle at work next Friday and this is my entry. I'm hoping for even more improvement by then. I took the pic a few minutes after I poured it. I added 4 brewer's tabs to each bottle for carbonation so I'm hoping for a medium carbonation level. Here is what you do. Buy a good craft beer you like in a bottle and soak off the label. Make your own label and put it on instead. The final product. Man, this stuff is soooooooo good!